BTOpenreach has told ISPreview.co.uk that their premium “ultrafast” 330Mbps capable Fibre-on-Demand (FoD / FTTPoD) broadband service has now become available for all exchanges in Wales (albeit only for those who can already receive an FTTC line), but you still can’t order it. 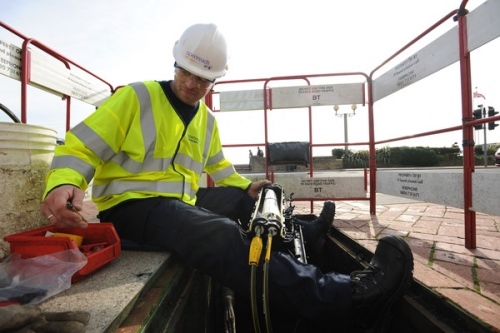 The reintroduction of FoD at “all exchanges in Wales” was made as part of an agreement between BT and the state aid supported Superfast Cymru project in July (here), which saw the operator pledge to make Fibre on Demand (FoD) available across the “majority” of Wales by the end of summer 2015. The first hints that this was finally happening came last week after the project announced that 504,352 premises in Wales were now within reach of predominantly FTTC based “superfast broadband” (30Mbps+) services (here), which resulted in several of our Welsh readers running availability checks only to find that FoD was also an option. Sadly we weren’t able to report this as news until BT confirmed the deployment, which took them a full week. However residential consumers would be well advised not to get their hopes up as FoD is strictly speaking a business service (home owners can also order it), albeit one that’s suffered due to the lack of a strong Service Level Agreement (SLA) and an inability to connect into Multi-Dwelling Units (big apartment blocks etc.). It’s also quite pricey. Unlike a native Fibre-to-the-Premises (FTTP) deployment, where you only have to pay a modest connection fee and affordable rental because the infrastructure already passes close to your property, FoD effectively requires the customer to help cover the build costs of bringing that fibre optic line to your building and in some cases that will attract a hefty four-figure installation sum (example). On top of that very few ISPs offer a FoD service for sale and those that do aren’t exactly cheap on the monthly rental (£200+ per month and 36 month contract terms etc.). Needless to say that the issue of cost and deployment pace appear to have been two of the reasons why the service was effectively suspended from sale (“stop sell“) at the start of this year (here). Since then a new FoD2 (NGA2) service has entered trial alongside BT’s early G.fast + 1Gbps FTTP deployments. Some additional details released in April (here) appear to confirm that the FoD2 aspect involves changes that should speed up the installation phase (end-user prices are not expected to benefit). It’s presently unclear if Wales will immediate benefit from any of these FoD2 improvements, but they should filter down once the trials have finished. Otherwise FoD’s return, even if it is only applicable to Wales (for now), is perhaps one way for the Welsh Government to meet their original pledge for ensuring that “at least 40% of all the premises in the intervention area also [benefit] from access to services in excess of 100Mbps“. However this would be controversial as the nature of FoD is that it doesn’t technically cover any premises until after the service itself has actually been built to your property (not unlike how some leased line services are deployed) and the price makes it unrealistic for the vast majority of homes. As a method of connectivity it’s good to have FoD as an option, but unless something can be done about the price and more ISPs introduce support for it then the service seems unlikely to help many domestic customers. Only the richest home owners or very particular businesses need apply. A couple of ISPs we queried with have suggested that the BTWholesale “stop sell” is still in place for Wales, which would effectively mean that while FoD has been deployed (Openreach) it is still not strictly “available” to order yet by end-users in Wales. We did specifically reference the “stop sell” in our original query to BT over a week ago and the meaning should have been clear, although their BTWholesale and Openreach divisions both seem to share the same PR contacts – Ofcom’s “functional separation” doesn’t yet extend to the spin doctors (we really wish it did!) – and so it’s possible they may have got their wires crossed in the reply. Once again we have prompted BT to clarify the situation, although being the weekend we might not get a response until next week. At present BT’s PR team seems to be so focused on other things (Ofcom’s Strategic Review) that they’re not being very effective at responding to any other queries. After several attempts to clarify BTWholesale has confirmed that the “stop sell” remains in place and there is currently no firm ETA for when it might be lifted. Strictly speaking ISPs can take FoD direct from Openreach, but for various reasons those that offer it will normally use the BTW product and without that then FoD may be “available” but you can’t actually order it from anybody. We’ve been given quite the run around by BT’s PR folk on this one and aren’t best pleased about it, but we do understand that they’re under a lot of pressure and a heavy workload right now. By that logic I have access to 10Gb I just have to pay for a leased line, so according to them probably 90% have access to 10Gb service. It is good to see, but I hope the public funding means the wholesale pricing will eventually switched back to its original positioning. Why? It’s not publicly funded. @andyH – all points to FoD in BDUK areas are publicly funded. HO point, fibre path, aggregation node, so the fibre extensions should be. Many FoD will pick up on the c£400m underspend from phase 1, the c£355m capital BT will need to put in the pot and the clawback. I get the charge for distance from the cabinet – that is fair enough. But to impose excess construction charges seems very unfair – the customer is basically paying to clear/replace the ducting. This should be an Openreach responsibility, it is their network. Yes, I understand all that but it does seem rather harsh to charge customers more just because the infrastructure is poor. Same ECC’s for Ethernet circuits, why would this be different? I can actually understand the upfront charge to get it installed including clearing ducts. What I don’t get is how can they justify the ridiculous monthly charge after this?? Which of course could be further away. As far as I’m aware, Openreach never stopped selling FoD and the stop/sell notice above, “Openreach Stop Sell Briefing Statement (Jan 2015)”, was from BT Wholesale and not Openreach. Hmm, I am on the same exchange (different cab) to the screenshot and 330/30 never left mine (checked a month ago) Even with it there no ordering system I can find on BT will let me have it. But if BT will actually let you order it when they check the line on their website – that’s worth taking a look at. I did not think Openreach spoke to the public. All I can tell you is we repeatedly asked BT for more than a week, pressing them specifically on the Superfast Cymru commitment, and eventually they told us that it was now available again from all exchanges in Wales.. after a lot of pestering. I can’t imagine they would have misled us after all that. Mind you the ISPs will also need to start accepting orders again and they run to their own systems. Which BT are you referring to here? Openreach or BT Wholesale? I’ve never seen anything from Openreach about a suspension of FTTPoD. Well no he is right – the option on the checker never went just not able to actually order it. Our original query made specific reference to the “stop sell” and the surrounding situation, so the meaning of our question would have been clear. The problem here, if there is one, may be that BTWholesale’s and Openreach PR people seem to overlap and they’re so overloaded with all the recent Strategic Review spin that it’s possible they may have confused their responses between dpts. We have asked again.. and the long wait for a reply begins. @Mark. I am going to call tomorrow and ask about FTTPoD and see what they say. I can post back here if you like. Have checked the DSL Checker page this morning and FoD is not showing as available for at least 2 towns in Wales, and both sets of addresses indicate they are connected to FTTC cabinets. It’s good to see FoD is coming back, if only in Wales to start with. It should become a genuine nationwide product where the user pays for the actual average installation costs, e.g. based on an average radial distance charge. However, the then monthly charge should be the same as native FTTP, it the latter where the previous FoD failed, because it was easier just to bundle a few VDSL lines than to get a FoD (all this before BT gave up on the initial FoD product). Completely agree. I would accept paying the cost to have it installed as its one off. But I don’t see why the monthly price is different to native fttp? FTTPoD is rather daft price on the monthly charge of £200+ compared to FTTP only £50 a month. How can this price be justified. Once you have paid for the installation how can it be more expensive to provide than native fttp? Surely Openreach can’t get away with this? Underspend on phase 1 BDUK will be c£400m (aginst the £1.2bn of allowable costs), plus BT capital of £355m is due and at 40% take up clawback of 2x£130m will kick in; yet your only plan for FoD is to punish the first customer who tries to order it in an area and treat it the same way as a private circuit. You have an opportunity to plan more FTTP, but yet you are losing to the likes of Gigaclear and even Callflow who need to bear all the costs of using BT passive infrastructure (PIA). How is it possible to lose to these when there is so much underspend, BT capital and clawback due? The decision to position FoD as somehow not part of a future FTTP native cluster is also peculiar given the oddity of locating a second cabinet next to the first to meet demand. Are you saying a FoD customer cannot form part of a future FTTP cluster? They must bear all the costs because there will not be a second customer in the vicinity! Is that the thinking? Underspend on phase 1 BDUK will be c£400m…source please? I think Fastman the query is about why the monthly charge from Openreach to CPs on FoD is twice the charge on native FTTP. I appreciate that Liv Garfield when she was asked seemed confused about this point and claimed the charges were the same but the price list disagrees. I assume it’s a further attempt to recoup the cost of the build and/or increase margins. @Fastman I was being a little generous when I said the monthly rental on FoD was twice that of the native product. 330/30, data-only variant on GEA-FTTP is £38/month +VAT. 330/30 via FTTPoD is £99/month + VAT. The prices were the same before the increase announced last year. People have a point. I doubt it’s a coincidence that the ‘median’ install charge is around the maximum for a Superconnected Cities voucher. The product ended up considerably more expensive to install than initially thought, but for commercial reasons £2,196 of this was moved to the monthly rental, this being the £61/month cost difference between native and on-demand totaled over a 36 month contract. @Sammy – Phase 1 = 4.1m premises, circa 22,000 cabinets. NAO Jan 2015 (See section 3) identified total average cost of £21k before BT contribution, so if allow say £28k then phase 1 should cost – £600-£700m and add a smidgen of FTTP. £400m is an estimate from the £1.2bn Phase 1 susbdies, but Rutland was £1.07m from £2.4m subsidy budget. They will vary by area, but these are supplemented with SEP budgets. @ NGA for all – Thanks for confirming you’ve made up the numbers. Sammy – It’s an estimate, based on the data available (NAO II, Oxera) and supported by the underspends reported in Rutland, Worcesteshire and others. It’s not an official number – it’s something you’ve made up, which is about as useful as a chocolate tea pot. Err his figures are based on BT information as stated. @Sammy, the numbers are now built on 29 public domain references from BT’s published accounts, numerous BT presentations to Audit Wales, Audit Scotland, at least 5 Select Committee hearings, 2 Nao reports, Oxera and Ofcom. Good grief, NGA for all is at it again. Please stop feeding him everyone. His numbers and logic are flawed, countless people have pointed this out to him, yet he still persists on producing the same flawed rhetoric over and over again. Until BT themselves, the government or an approved public body state that BT have underspent BDUK1 by £400m, then you’re simply pulling numbers out of thin air. The same goes for BT’s own commercial deployment. NGA for all does not believe the reported capital spend by BT, yet he has zero proof that BT have not spent what they’ve claimed. Just because NGA for all doesn’t believe something, does not mean it never happened! No NGA is correct there was a BT presentation slide showing the actual spend. Then show us the link to the BT underspend slide. @AndyH If your BT, I have sent your colleagues in Group a 16 pager for review on this matter 10 days ago. This is now a 20 pager fully referenced ready for peer review, whether academically, commercially or legally. On the one hand the conclusions are hard to accept, because of the BT gambit on costings, the use of confidentiality agreements, and generally missing the point of state aid, but overall the news could not be better, as full transparency will allow most of Phase 1 monies and the underspends to be recylced to fill the not spots and complete the roll-out. That’s what the 20 pager concludes based on the numbers in NAO, Oxera Audit Wales and Audit Scotland and the BT representations made to PAC, including critically that BT MD would only acknowledge 36% of the original BDUK bid cost – £28,900 per cab and fibre path. Underspends and clawback are being reported, that just leaves the BT capital. The nature of the capital accrual (claimed clawback) is interesting to analyse. Once or if your colleagues react, I hope to find a way to publish that paper that is constructive to the overall process. If you want to review and markup I can send a copy to Mark at Ispreview or Andrew at Thinkbroadband, but peer review rules need to apply, sledging out but critical comment based on the evidence in the public domain would be very welcome. @Clark I had the slides so thanks for the url. There are at least 29 other public references before referencing BT presentations. The 650 pages of Ofcom cost attribution work is also useful. The inconsistent re-dacting between Catesians work and Ofcom own 150 pager allows all NGA related BT Product Codes and General Ledger codes to be outlined. At least it is helpful to tie down a total cost estimate for NGA within the Wholesale Residual Market. No problem i guess if that is wrong BT thereself must of lied. I would much prefer the option of paying the full cost and from then on being charged the same as native fttp. The cab is literally 1 minute walk from my house and no digging would be required. The fibre feeding properties with FTTPoD doesn’t come from the cabinet. I didn’t know that, so where does FTTP come from? It comes from the aggregation node … average node distance about 500m from the customer. But the blown fibre tubing to the cabinet has been paid for with state subsidies, so do not say this infrastructure cannot be used. 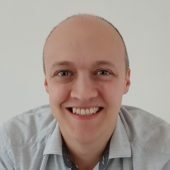 So BDUK assisted in getting the fibre from the exchange to the cabinet via an aggregation node – no absolutely no contribution from the aggregation node to the potential customer’s premise. I ordered it today also and was quoted similar. I am using a voucher to pay for the install which is £2749 including the small amount of ECC needed. I was quoted £119 a month for 36 months. Survey being done on Friday. Neither of these make any sense. There’s no 2 year contract on FTTPoD – it’s a 3 year contract. No quote would be given for either price or install until a survey were done to confirm. How would they know that a ‘small amount of ECC’ were needed when they haven’t surveyed? The distance charge bands end in 5 or 0, not 9. £750 + VAT fixed connection charge, then £350, £1,050, £1750, £2450, £3150, and upwards, for distance-based connection. The BT Wholesale charge for FTTPoD is £140 + VAT per month. Neither a retail charge of £140/month with no install charges and a 2 year contract or a retail charge of £119/month seem economically feasible. Lastly BT Wholesale apparently aren’t taking orders for FoD. An order wouldn’t have produced a survey schedule immediately, and would’ve failed if it were done via the XML interface as it’s not like just booking an engineer for an FTTC install. It would’ve required time for feedback if it were submitted manually and would still have been rejected with no survey date provided. I think I’m going to make some enquiries with some people. Neither of those can be ‘standard’ FoD, however I understand there’s been the odd localised FTTP project here and there. 1 BT Infinity Business Ultra T 0.00 3 420.00 2 -24- BTULT .. But what was stated it is a 2 Year contract this is a ORDER! Private Services Customer Requirement form must be completed. but does not form part of this contract. Just hope they honour mine or ill just stick with normal FTTC and bond them. UGH Bt or Openreach why you do this 🙁 Engineer come out today…. to install a PTSN line! ugh wow bt Shame on you! I want FTTPoD that was my order and now they say there is no Infrastructure! um ok? so i don’t see the AN… complete waste of my time… and now there trying to feed me a Leased line!Why cant Openreach UPDATE there Data because the Infrastructure is there! FTTP on Demand is dead. Speaking with some Openreach people, they’ve said it’s not coming back. Openreach don’t need to stop selling it, only BT Wholesale did to make it effectively impossible to get. I guess Openreach can’t make a 50% margin on it like they can with copper and leased lines. Unless BT are broken up, you can forget about Fibre on Demand 2 as well, it will simply replace FOD as a service that’s ‘available’, but not actually available. And that’s just how Openreach like it, thank you very much! If Openreach is split off from BT and subjected to a proper regulatory regime, they’ll likely build out a proper FTTP network.